Stylish and practical, great centerpiece for the table! 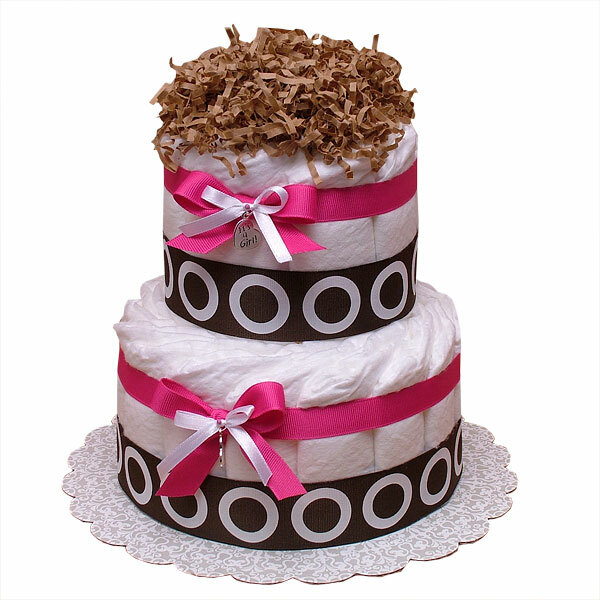 Great gift for any new mom, two-tiers Hot Pink and Brown diaper cake. This cake consists of 40-45 Pampers Swaddlers diapers size 1 (7-14 lbs. ); two metal charms "it's a girl", wrapped with a really modern high quality hot pink and brown ribbons and bows. Decorated with crinkle paper.